Definition at line 213 of file StoreMap.h. Definition at line 857 of file StoreMap.cc. Definition at line 864 of file StoreMap.cc. References anchors, fileNos, and slices. Definition at line 219 of file StoreMap.h. 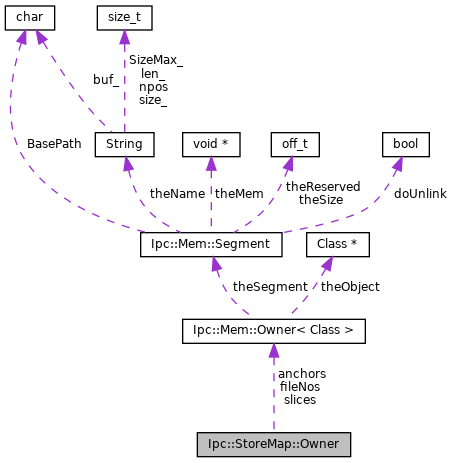 Referenced by Ipc::StoreMap::Init(), and ~Owner(). Definition at line 218 of file StoreMap.h. Definition at line 220 of file StoreMap.h.